I had hoped this excellent result was a sign for a good start to the season, but mother nature decided otherwise and the consistent rainfall which followed, lasted until nearly the end of June & saw the local rivers flooded out for the period and the lakes higher than I have ever seen them in May/June. This complicated the fishing and results were disappointing. Things could have been worse as other venues were actually flooded right out. Following the monsoon type rain the weather changed radically and July was to prove a hot and dry month. Unfortunately this brutal change did nothing to improve the catch results. 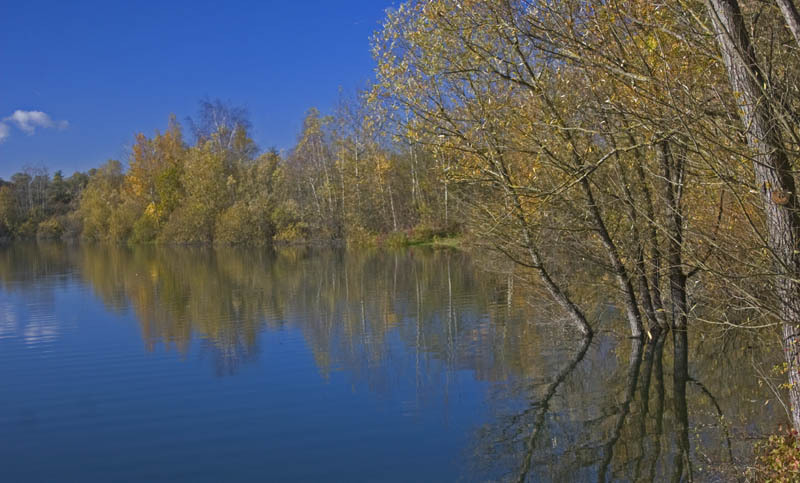 Groups of carp could be seen on the surface, sometimes over a 100 fish all sunning themselves, but they were loathe to take a bait, especially on the bottom, in the unseasonably deep water. The catfish still wanted to play though and several excellent catches were had, including Paul Macleod on peg 6 managed to bank a PB at 79lb. The unstoppable Ceri Howells on the Tortue had fish to over 90lb. The dry weather did though, see the lakes drop fast and the cooler yet still dry & fair weather of August, finally saw some good catch results coming in. 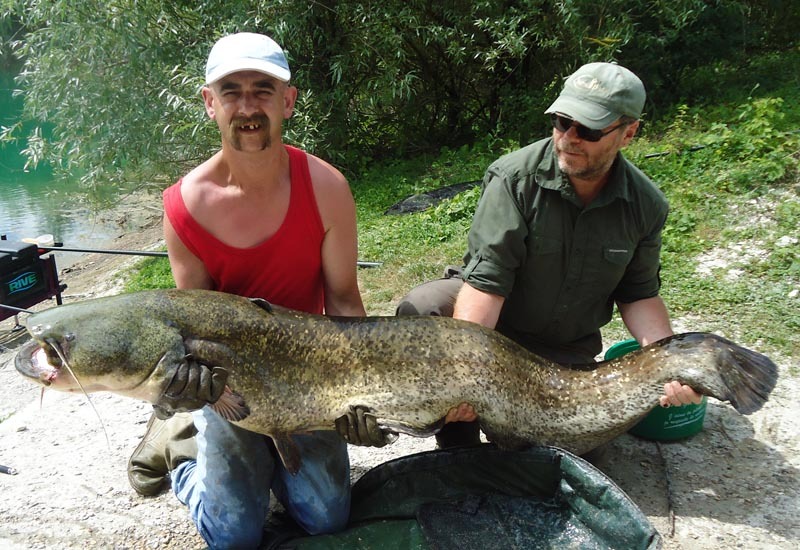 For the middle of the month French angler Franck Lassalle settled into peg 13 for the duration and ended his two week stint with 87 fish including three catfish over 100lb, the best 108lb and carp to 49lb 10oz. At the same time three anglers from the UK also got amongst the fish Ann & Gordon McIntosh accompanied by Laurence Hamilton had some really nice carp and cats topped by a 48lb 10oz Mirror to Ann, so by outdoing the guys!!! The fortnight saw the angler’s present catch over 150 fish. September dawned and the weather held and so did the catches. It got off to a great start when Leigh Hunt bagged a cracking 48lb common from the mobile home swim. Another angler on a return visit the following week, was Paul Macleod who after his haul of catfish in July managed around 25 carp from peg 4 including two 48lb fish, one common & one mirror. He also had a 6lb tench (his second double in just two trips). Ceri Howells returned too at the end of the month for some more armed wrenching battles with the cats, which he got banking fish to 103lb, but he also had some superb carp including 3x forties and a 50lb 6oz mirror. But a surprise catch once again from peg 6 was to Herman Kerkvelit from Holland who landed the big mirror at a new top weight of 59lb. 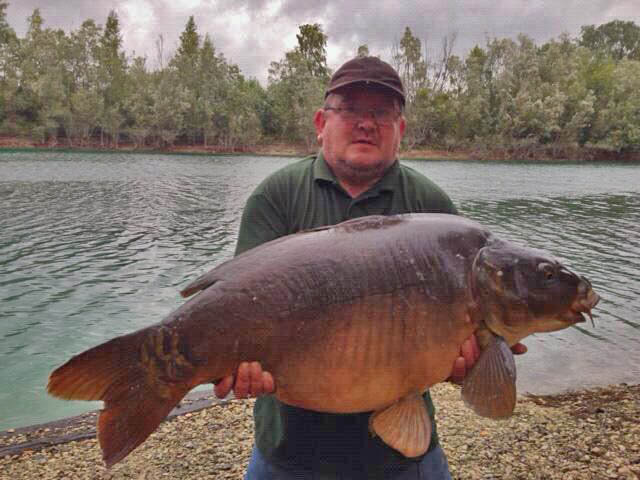 This fish had not been caught since the late John Evans had it back in April 2011. So these were some of the highlights of the year. There were some epic catches of both carp and catfish, but other species such as tench and bream also broke a few records. I look forward to seeing you all in 2014. This entry was posted on Monday, November 18th, 2013 at 11:32 am and is filed under News. You can follow any responses to this entry through the RSS 2.0 feed. You can leave a response, or trackback from your own site.